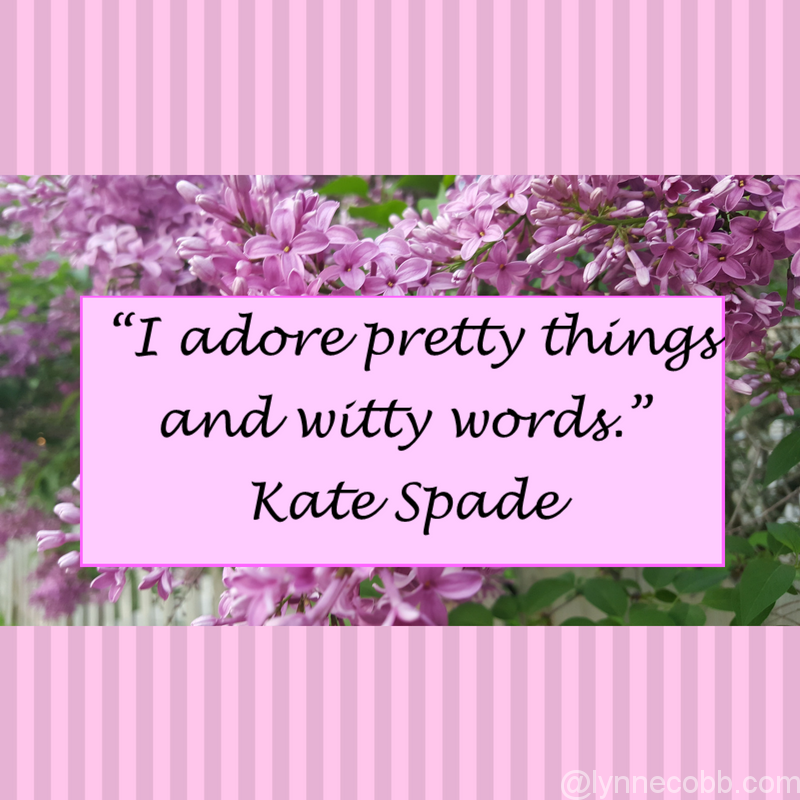 Right now, I am mourning the loss of Kate Spade, a woman I never knew. A woman who I most likely would have never met. It’s just beyond awful that another person has tragically died in an alleged suicide. And sadly, she is among so many that we’ve lost. After hearing of her death, I took to the Internet like so many others did, searching for the whys of what drove a successful, talented, seemingly effervescent personality to such a drastic end. 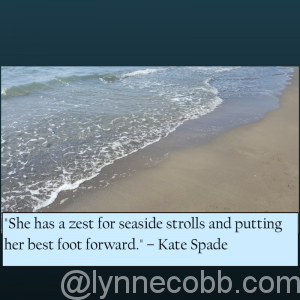 In my search, not only did I learn more about her, but I came across some of my favorite quotes, not knowing that they originated from Kate Spade. They were fun and witty – like her handbags. I love her handbag collection – and dream of owning one of her designs. They are classic and colorful and remind me of elegance with a smattering of fun. Like something Jackie O. would carry. Some women love clothes, and some love shoes. I, personally, love handbags. Anyone who has shopped with me knows I could spend hours days choosing just one. I like handbags because I don’t have to take them into a changing room and be disappointed with whether they fit. Or not. I don’t have to get frustrated when an outfit that looks great on a mannequin makes me look dumpy or like I am trying to fit back into my youth. A handbag can make an outfit sing. It’s a reflection of personality. Plus, they are forgiving – no tailoring is needed. I think that’s why I liked Kate so much. She filled a niche where one could buy a bag and feel beautiful without feeling depressed over sizes. Plus, a new purse doesn’t make your toes hurt while it’s being broken in. I admired that Kate could design so much fun and brightness into a bag– definitely bringing out the wannabe purse-hoarder in me. And, I’m sure, many others. My office area is filled with books and quotes and some of my most favorite, pretty things. All of which I use to get me into “the zone.” To hopefully write witty words. Except for days like today, when I can’t be witty, when I am trying to digest a tragedy. This quote took me back to Italy, where walking along the ocean, collecting shells and breathing in the beauty helped me get back to me. A time where I was feeling lost, yet being at the sea grounded me, reminding me of all that was good – faith and family and love. For years, these words have been hanging in my daughter’s room. I had no clue that this was Kate. I thought my youngest hung it up to taunt me with all the glitter residue from years of being a cheerleader. It has new meaning to me now. I wish I could have met Kate. The more I read about her, the more I admire and respect her. She was a creative in her own right. She made things that made people happy. She added a pop of color. I don’t think Kate will be forgotten. In her short life, she left her own trail of glitter. My heart truly breaks for her daughter, family, friends and fans. And new admirers, like me. We will continue to wonder what happened and why she died the way she did. It’s scary because she seemed to have it all – talent, family, career, love. It makes people wonder, if it happened to her, who else could it happen to? It is a safe bet that anyone reading this post has lost someone they love to suicide. I know I have. Too many, actually. A dear family member and close friends. It’s like a cancer these days. It’s so prevalent, and there seems to be no cure. For as much exposure and prevention classes and awareness available, there seems to be no way to stop this epidemic from cutting lives short. Suicide crosses all demographics – ages, genders, economics and more. If we humans could just do everything in love, and stop the negative comments and ugliness towards each other, maybe that would help. Maybe those who are deeply depressed or anxious keep quiet because they don’t want someone judging them, making their illness worse. Or maybe they are afraid of making someone worry. I don’t know. I’m trying to dig for answers in an area that seemingly has none. I am sure, on some level, these people know they are loved, they just don’t know how – or maybe are afraid – to articulate the very dark void in which they seem to reside. And with all the continuous “noise” in our lives – social media, 24/7 television, devices – cries for help often get drowned out. It is my prayer that we can all reach out and make someone’s day a little brighter. We never know what our neighbor is enduring. We can only hope that by acting in kindness and love, we can help prevent some of these tragedies. If you or someone you know needs help, please call the National Suicide Prevention Lifeline at 1-800-273-8255, available 24 hours everyday. Family, friends and readers – if you ever need me, please reach out. I would never, ever, want someone to suffer in silence. May God bless you. Wow, Lynne, what a terrific post. Thank you for writing this uplifting story about a true tragedy of the passing of Kate Spade. I did, as many did, dig into the story to see why this could happen to a very well known and respected person. She was such a successful and renowned person, but sometimes life takes turns that seem impossible to handle. Your comments are right on! Let’s reach out and make someones (everyones) day a little brighter. Thank you so much, Bob. I truly appreciate your thoughtful post! This is a truly beautiful post Lynne. Next PostNext A puppy tail – Was it divine intervention that brought us joy?